Under the guidance of the German Federal Institute for Materials Research (BAM), the standards for fabrication and application of reference materials are presented here in comprehensive form. The areas covered are analytical chemistry, materials science, environmental analysis, clinical and forensic toxicological analysis, and gas and food analysis. 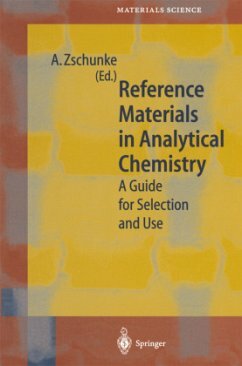 A standard reference for every analytical laboratory. 1 Introduction.- 2 Classification of Reference Materials.- 3 Certification of Reference Materials.- 4 Reference Materials in Materials Testing.- 5 Reference Materials in Environmental Studies.- 6 Reference Materials in Clinical and Forensic Toxicological Analysis.- 7 Use of Reference Materials in Gas Analysis.- 8 The International Network.